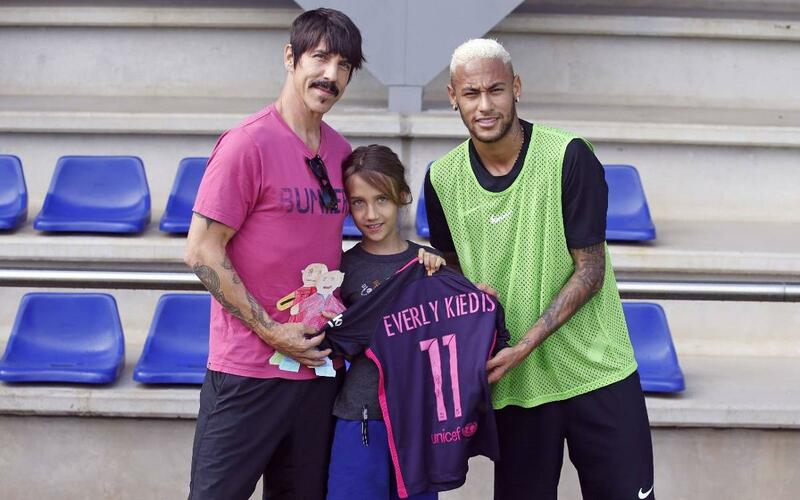 Anthony Kiedis, lead singer of the Red Hot Chili Peppers, was the star attraction at Friday morning’s FC Barcelona training session. The voice of such mega international hits as Give it Away, Californication, By the Way and Under the Bridge was joined on the visit by his son Everly. They were especially keen to meet Brazilian superstar Neymar Jr, who happily signed a personalised shirt and posed for pictures with the American guests once the workout was over. The band, who formed in Los Angeles in 1983, and whose eleventh studio album The Getaway was released last June, are currently on a four-month tour of Europe and will be playing at Barcelona’s Palau Sant Jordi for two nights on October 1 and 2.